When Harry and his best friends go back for their third year at Hogwarts, the atmosphere is tense. There's an escaped mass-murderer on the loose and the sinister prison guards of Azkaban have been called in to guard the school. Lessons, however, must go on and there are lots of new subjects in third year - Care of Magical Creatures and Divination among others - to take Harry's mind off things. 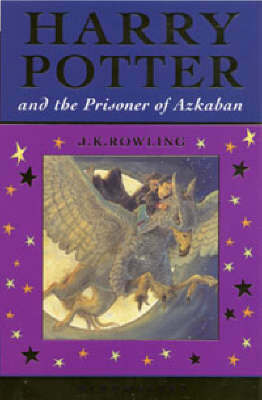 In my opinion, this is the best book in the Harry Potter series. The kids have all grown up a bit, and have a much clearer understanding of the wizarding world.